In 1949, a young Juilliard-trained musician recently returning from service in World War II left New York City to take a teaching position at Colorado A & M (now Colorado State University). Wilfred Schwartz viewed this position as a temporary stop-gap until he could find work back East. Soon after his arrival, he formed a community orchestra, and the rest, as they say, is history. Will never ended up going back East, despite a number of opportunities. Instead, he stayed in Fort Collins where he continued to develop and lead the Fort Collins Symphony Orchestra, which grew and flourished under his direction and guidance. 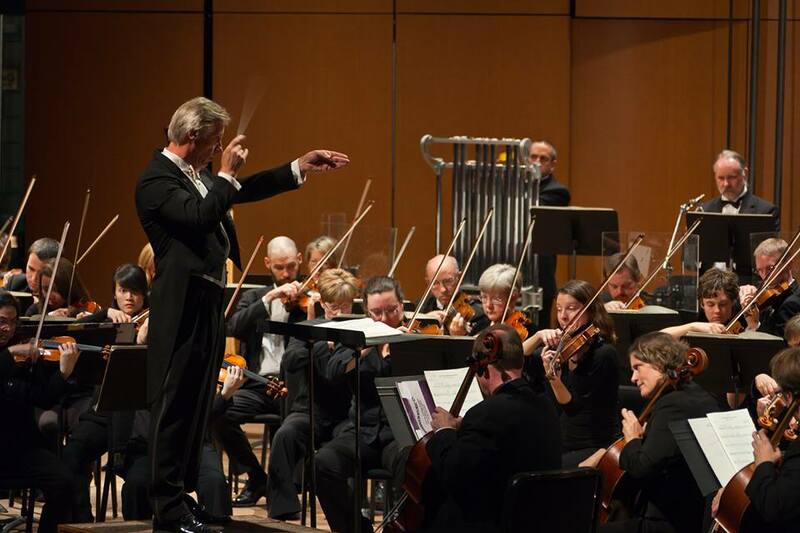 Now in its 68th Season, the Fort Collins Symphony is a professional symphony recognized as Northern Colorado’s premier arts organization. Under the direction of Maestro Wes Kenney, the Fort Collins Symphony continues Will Schwartz’s vision of providing Northern Colorado with beautiful, expertly performed symphonic music.